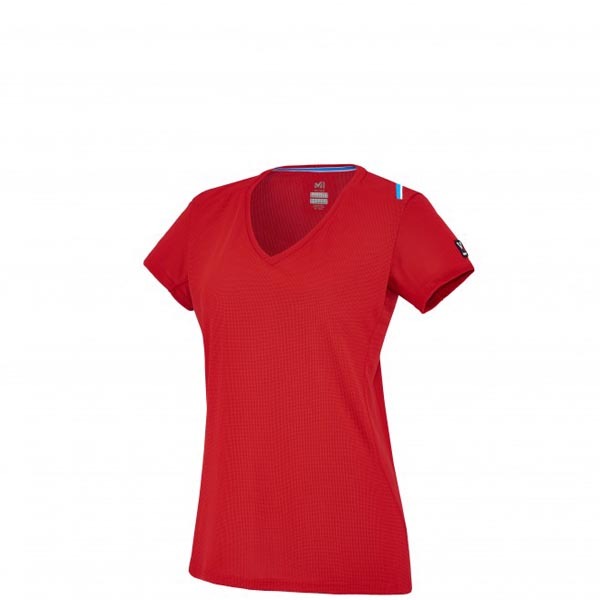 With the lightweight softness of LIGHT WOOL BLEND™ hybrid knit against the skin, the LD BLANCA PEAK WOOL TS SS is a women's technical tee that actively thermoregulates during alpine disciplines in an active geometric style. 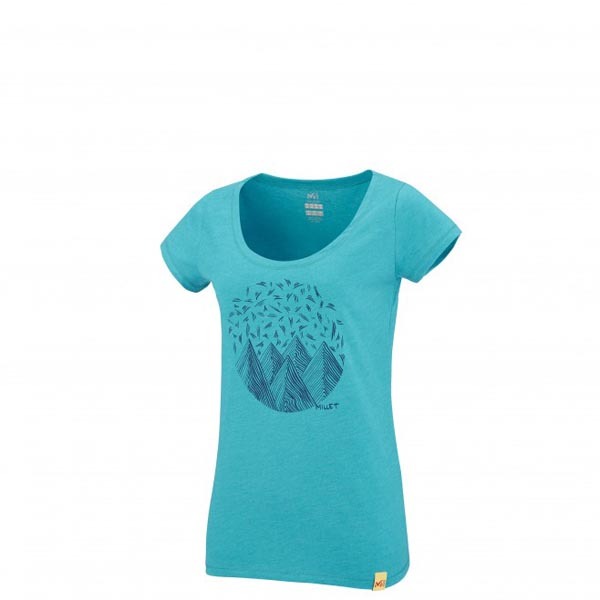 In the highlands and day to day, it offers the comfort and exceptional softness of a merino wool/Polyester blend. Wool - fully thermoregulating and naturally anti-bacterial - provides ideal thermal stability in the mountains and anti-odor comfort. 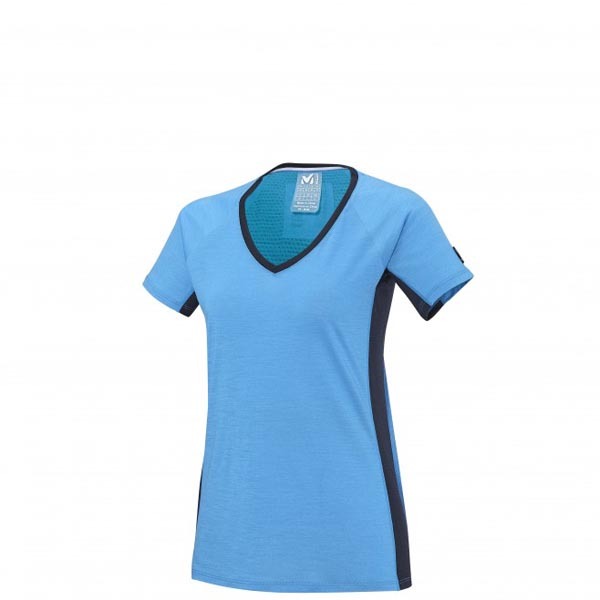 Added polyester increases its strength and wicking speed. 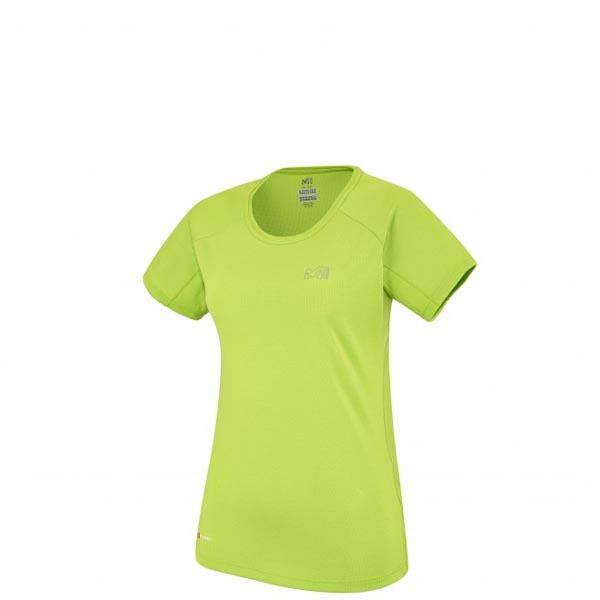 The result: quicker drying, ease of care, and optimized resistance to wear-and-tear in a close feminine fit, with seamless shoulders for greater freedom on alpine terrain. 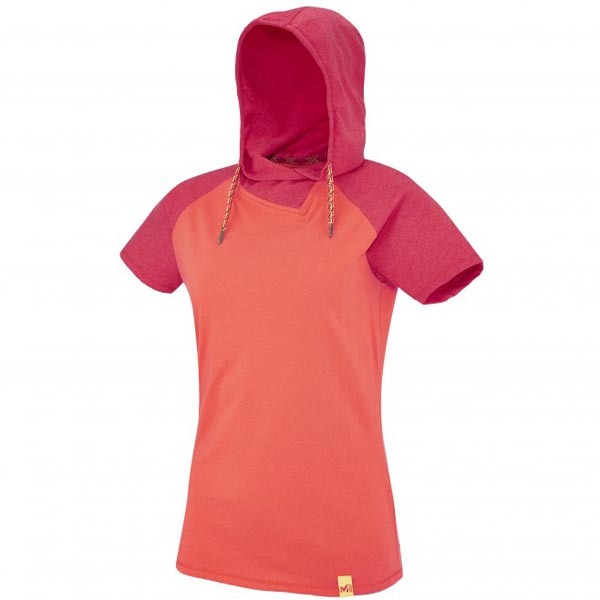 Exclusive MILLET design.